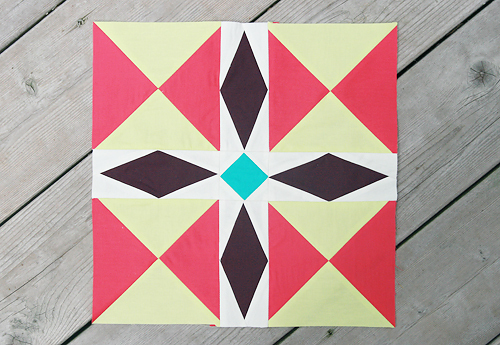 Today is the ninth block for our Summer Sampler Series - the Minnesota quilt block. I was definitely intimidated by the look of this block, but after reading through Lee's tutorial, it looks easy! I am visiting family in Cincinnati this weekend, so I will have to wait until Monday to make mine though. Don't forget to post your block and any questions in the Flickr group!